This is a really interesting question because ostensibly the visa upon arrival privileges afforded to more than one hundred and eighty different nationalities, are such that you have to present yourself as a bona fide A visitor, in order to qualify for admission under these arrangements. It then begs the question as to what is permitted activity under the visitor visa category. The practical experience suggests that coming to Hong Kong to look for work is perfectly lawful, although if you were to indicate that this is your intention when you’re at the border, the officer may misconstrue what your real motivations are and may conclude that actually whilst you think that you’re just looking for work, he may conclude that you are going to be engaging in work, so you increase your risk profiles of bona fide A visitor when you present yourself, if you nominate to the examining officer what is bringing you to Hong Kong at this point in time. So extensively if you’re going to be entering or exiting Hong Kong to spend time with your partner, who does have an employment visa, then you just explain that that is the purpose of your visit and I would stay silent as to your intentions to look for and ultimately secure work in Hong Kong and then adjust your status to get an employment visa. Now in terms of whether it’s possible to extend your visa base on the desire to find work in Hong Kong, well, I’ll just refer you to what I mentioned earlier. 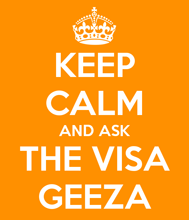 If you’re coming as a visitor and have a good reason to be here as a visitor and don’t text back the immigration department to support your desire to extend your stay as a visitor because you’re pursuing the local job market in anticipation of finding a position subsequently, that would lead you to make an employment visa application. So keep the two very discreet and very separate. Having said all that, primarily the vast majority of cases that we do for employment or an investment visas are done on what is effectively a change of status application basis where you find yourself in Hong Kong, a job as a visitor, a job often manifests itself and you then make an application to adjust your status from visitor to employment and once that process has played itself out, you’ll be granted an employment visa label but you would then have to make an exit from Hong Kong, Macau [02:44] relinquishing your visitor visa status as you make the exit and place the employment visa over on a clean page in your passport and turn right around and come straight back into Hong Kong and entering with your visitor visa and the immigration officer will activate you at the point of entering Hong Kong.